God has raised up St. Thérèse of Lisieux, Doctor of the Church, to enable us to grasp and live the profound truth of divine Love with the same intensity as she lived it. 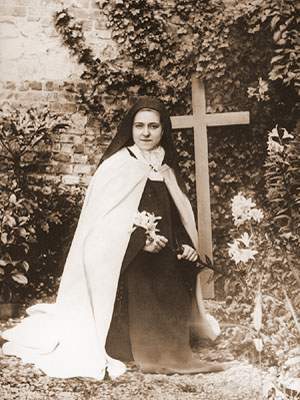 Or to put it another way, the Church has proclaimed St. Thérèse a Doctor of the Church in order to help God’s people love the love that is mercy. Therese was so convinced about how much we need to love the love that is mercy – instead of some twisted, inept infatuation with justice – that she made it the theme of a little Christmas play she wrote and performed for the community in 1894. This little dramatic scene proved to be prophetic. In it we see prefigured the very model for Thérèse to be proclaimed a Doctor of the Church. We hear a little child… speaking with the authoritative voice of God…correcting a destructive concept of divine justice…offering a new way to grasp God’s love…and transforming the world through a graced teaching on God’s mercy.